So this cake was a peace offering / bribe to encourage him to enjoy the day. And a good time was had by all. Hooray! 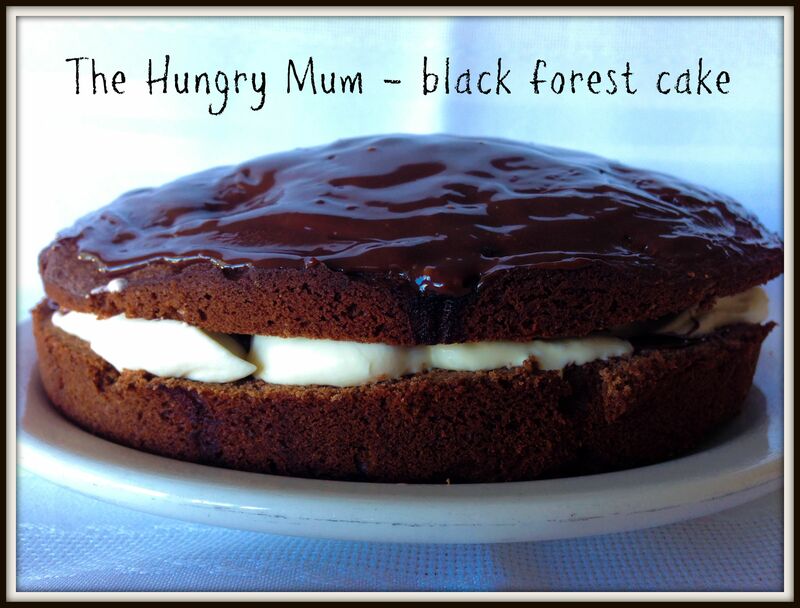 This recipe is based on Donna Hay’s little black forest cake recipe, which I tweaked. For starters I made one big cake rather than two smaller cakes. I also reduced the sugar and didn’t dress mine with chocolate shards and fresh cherries. I didn’t have kirsch so I used dark spiced rum. Hers were a masterpiece to behold, mine was much more portable for a picnic. 300 grams dark chocolate, chopped. Preheat oven to 160C and line and grease a 20cm round cake tin with non-stick baking paper. In bowl of electric mixer beat together the butter, vanilla and sugar for 10 minutes. Scrape down sides with a spatula then beat in eggs one at a time until thoroughly combined. Scrape down sides again. With machine on low add cocoa, flour, baking powder and milk and mix until combined. With a silver spoon gently stir in half the cherries then scrape the batter into the tin. Bake for 35-38 minutes or until a skewer inserted comes out clean. Remove from oven, leave in tin for 10 minutes then remove to a cooling rack. While it is cooling make ganache by cooking cream and dark chocolate in a small pan over a low heat, stirring occasionally, until glossy and lump-free. Set aside to cool to room temperature. When ganache and cake are both cold carefully slice cake in half horizontally (I have no tips here as I outsource this job to the Hungry Dad. Being an engineer it is all about straight lines for him whereas my attempts look like my mini schnauzer cut it). In a small bowl mix together the cherry syrup and alcohol and use a pastry bush to baste each cake. Meanwhile beat together the cream, sour cream until soft peaks form. Place one cake half on serving board, spread with ganache, top with cream then add remaining cherries, then top with remaining cake. Spread remaining chocolate ganache over the top of cake. Oh what a gorgeous cake, I LOVE me some Black Forest Cake too. I have so many fond memories associated with this dessert, it was the first time I remember eating cake that had a hint of booze in it, and as a kid, that was uber cool. Then when I was doing my cheffing apprenticeship, Black Forest was an assessment piece…. that I nailed. Boom! Yum. Maybe I should have this ’70s throwback cake for my 40th. 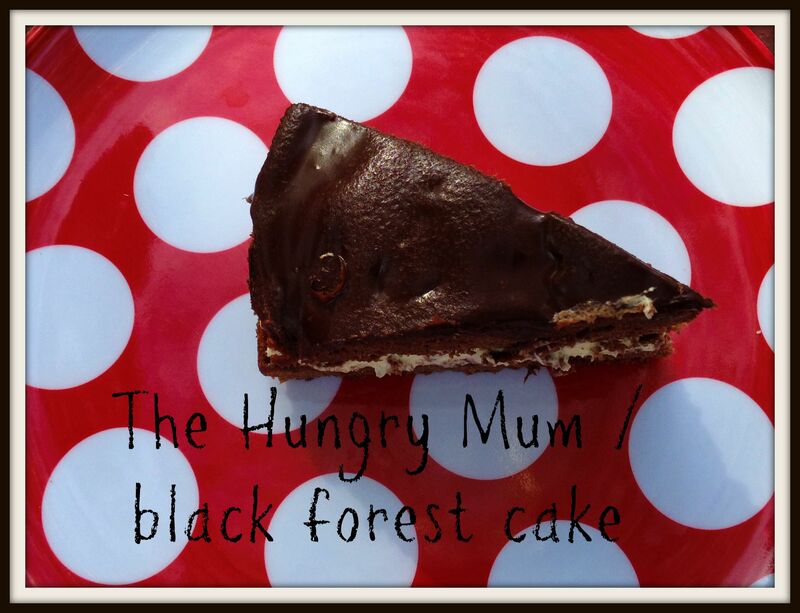 Black forest cake – learned something new today. If I had a sliver to spare I would send it your way but alas, it is long gone! 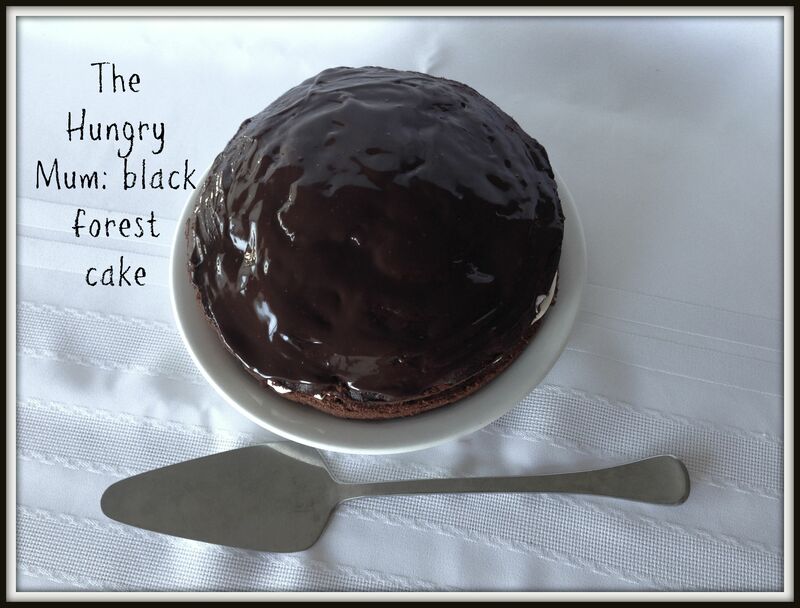 My personal favourite cake – I was staggeringly dissapointed when I went to the Black Forrest as a kid and it was green………….I’m making this then burying my head in it for the weekend, thanks for posting this beauty! Spiced rum, nice one Mrs H. Old school cakes rock. I adore fresh cream in a cake. Mmm…. Having recently discovered a love of cherries – I’m a bit slow, blog post to follow! – a Black Forest Cake is next on my list. I don’t like kirsch though so I love the idea of using rum instead, thank you! Looks like a giant woopee pie – delicious! This looks fantastic! I do love a boozy cake. Jenn, you need to BE the change you want to see! Make the cake! What a perfect bribe cake 🙂 I bet the dark spiced rum took it to another level. Yum! YUM! I love black forest cake and it’s been forever since I’ve had it. Now I’m craving a piece! 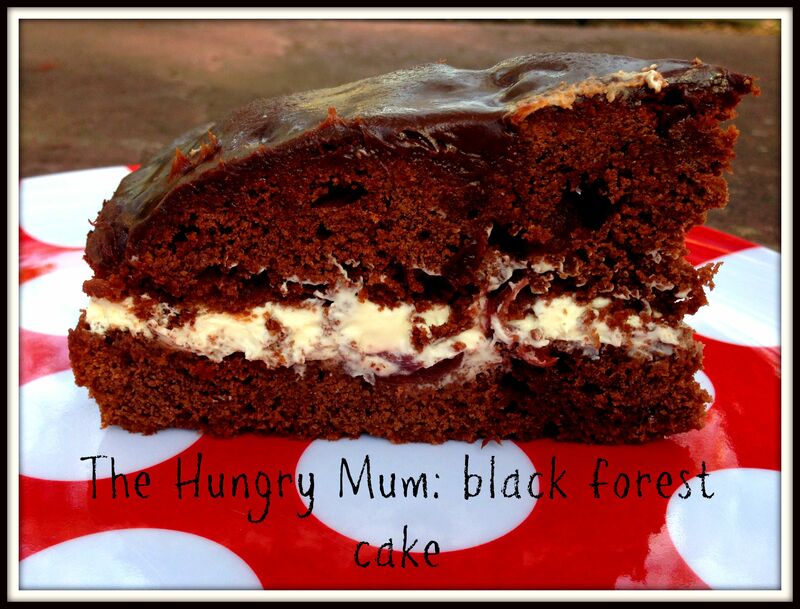 Love black forrest cake, so many great childhood memories. Am I the only one who never had this cake as a kid?! yummy! this cake looks gorgeous! Thanks so much – it vanished in a flash!